I entitled this blog Beggars All: Reformation and Apologetics because the emphasis of what's posted is geared toward presenting a defense of the Protestant Reformation. When I come across an argument, often I end up tracing it back to books or articles written by the defenders of Rome. Below is a list of Roman Catholics books (and a few articles) that are available on-line, as well as some others that I refer to (perhaps they'll be online someday). 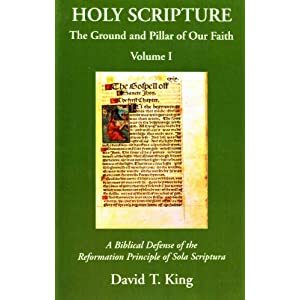 The majority of the Roman Catholic authors below I would classify as hostile to Luther particularly and the Reformation in general, many of them belonging to the pre-Lortz period of Roman Catholic scholarship. Many of these sources below are written by very able historians, and not everything presented is erroneous. Most often it is not the facts that are wrong but rather the interpretation of the facts. A particular worldview and underlying presuppositions will determine the interpretation of history. I've found valuable information in many of the books listed below. The list will be updated as I come across more resources. Why would I post this? Because these are the sources I often use, so I like to have them readily available.